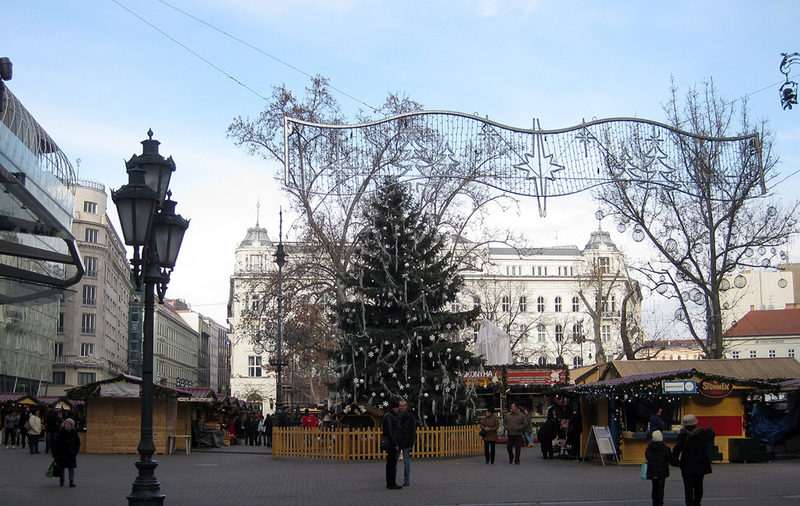 If you've been reading recent posts you'll know that I had a less than perfect start to my journey, Well, it's amazing what a decent night's sleep and a sunny day can do for me, and for Budapest! Breakfast yesterday was a feast, so I started the day well, and when I plunged out into the freezing weather I made for what is said to be the most exciting part of the city to explore, the area around the castle. They did not lie! 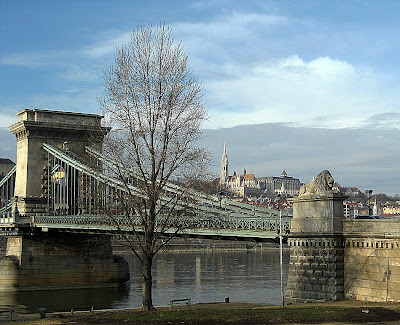 I walked to the Szechenyi Chain Bridge and crossed over the Danube. On the bridge I was stopped by a man who asked what he should do at the castle. I told him I didn't know, as I was headed there for the first time myself. We chatted briefly, and I found out he was French, and then we parted. 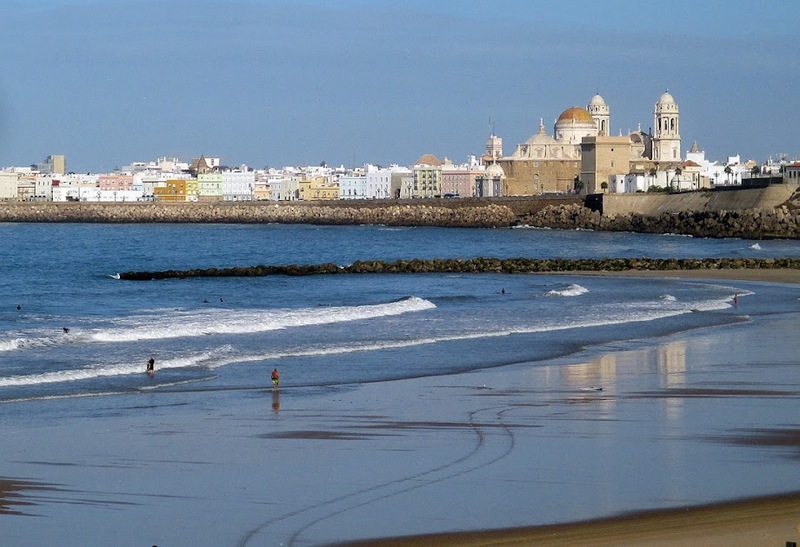 Two solo travelers who might have said, "Let's see it together," but I think we were kindred spirits in that there are some of us who prefer to travel alone ("we few...we happy few"). Se we walked on in the same general direction. And then bumped into each other two or three times. A laugh, a brief "Hello!" That was it, all each of us needed, and we went our separate ways. 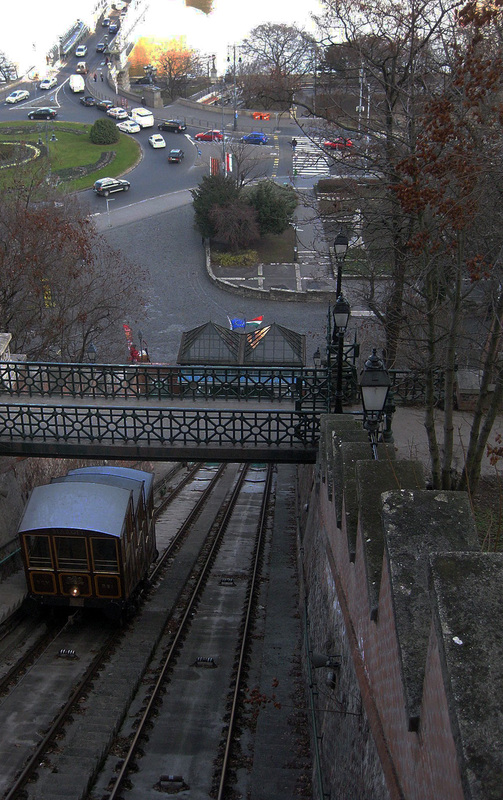 At the end of that bridge the walker is faced with a steep climb, but there is also a funicular at the bottom. Some say it's a bit overpriced, but it was fun to ride up effortlessly and see the views on the way. The funicular drops you (not literally!) in the very center of the castle complex. But Dottore Gianni was drawn to look the other way, back at the Pest side of the city and the brilliant views of that part of town as well as of up and down the Danube. As good as the tour books claim! Once sated, I turned round and tried to decide which way to proceed. To the left are the museums, free with my Budapest Card, which I purchased yesterday morning. I opted to head right, the tower of Mathias Church drawing me in that direction. But before I proceed, a brief history may be in order, a tale of various conquests and occupations. The castle district was first occupied in the 13th century, after the Mongol attacks on the area. Then the royal court moved in and by the 15th century, under the leadership of King Mathias, Buda's importance grew mightily.The next invaders were the Ottoman Turks, who invaded in 1541 and ruled Buda as well as much of the rest of Eastern Europe for more than a century, when another set of invaders, the Hapsburg Empire, centered in Austria, invaded in 1686. 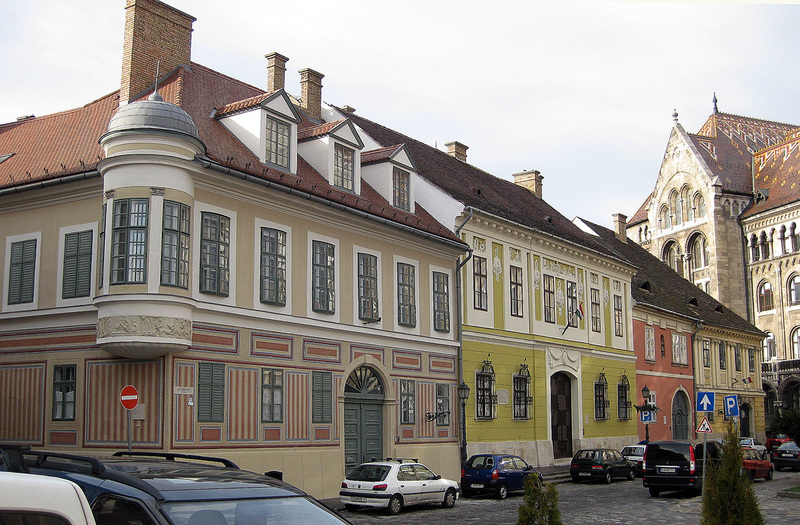 During the siege that it took to win Buda, the Hapsburgs left the castle district in ruins. But they quickly rebuilt it in the baroque style popular in the era, it became the center of the government in Buda, and remained much as it looks today until the end of World War II, when it was once more destroyed, this time by the Allied armies, specifically the Russians. The ruins were once more reconstructed , so that they looked as they had before that war, and thus it remains today, an elegant replica of an eighteenth century city. 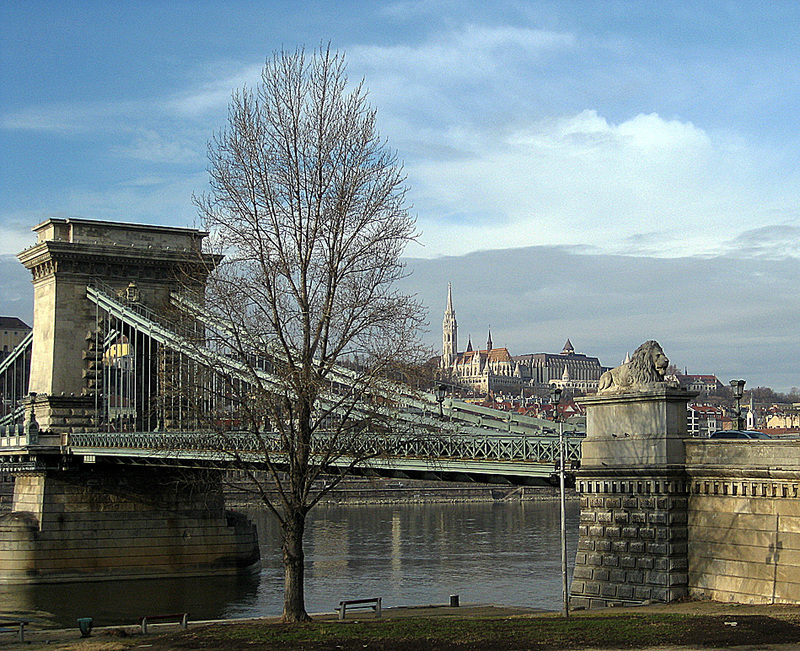 The castle hill looks down not only on Pest and the Danube, but if you walk a few hundred meters in the opposite direction you''ll see that it overlooks the rest of Buda as well. I did not venture down into that part of the city, as the castle area itself occupied my time for more than three hours. 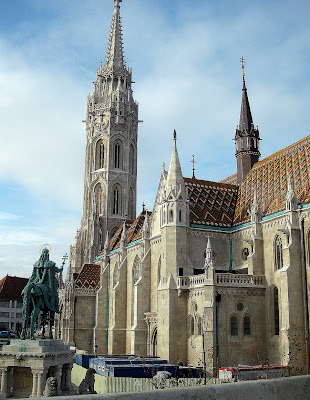 If all the imposing and impressive buildings in this area, the one I really took to was Mathias Church, as I noted above. 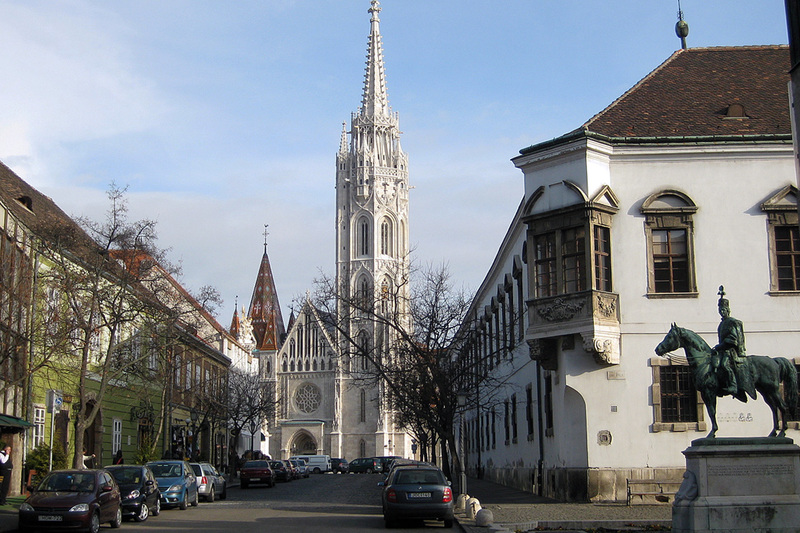 This mid-thirteenth century church is said to stand on the site of a church founded a good bit earlier, in 1015 by Szent Istvan (St. Stephen), the first king of Hungary. But while it makes for good reading, there is no archeological evidence to support it. King Bela the IV ordered the church built, but this was modified into the Renaissance style during the fourteenth century by one of the greatest kings of Hungary, King Mathias Corvinus. It was he who established the values of the Renaissance in Hungary, and the court became famous throughout Europe. When the Turks invaded they converted the church into a mosque, but what we see today is a neo-Gothic edifice built in the late nineteenth century. Whatever its style, it is stunning to behold. In the immediate vicinity of the church is a series of turrets known as the Fishermen's Bastion, built in the late nineteenth century for decorative, not defensive purposes. 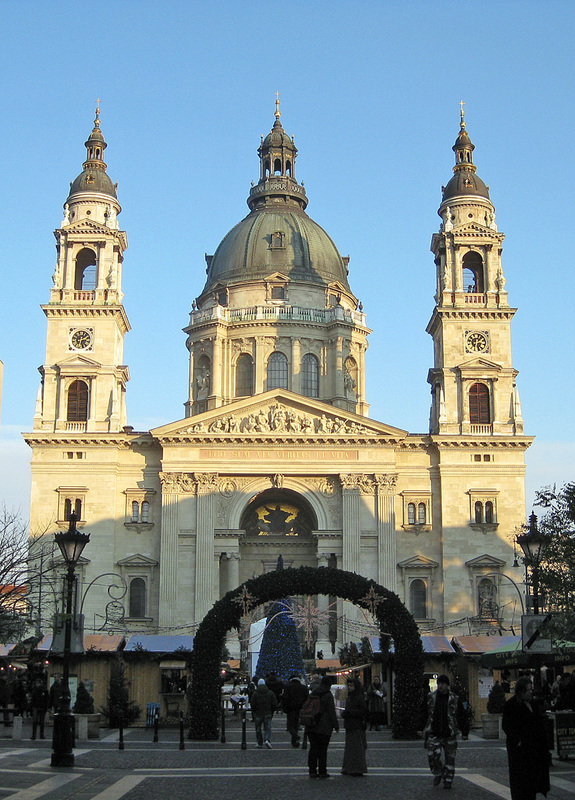 It consists of seven towers that symbolize the seven tribes of Hungary. It's a bit like fairy tale to me, not as spectacular but in somewhat the same vein as is mad Ludwig's Neueschwanstein castle in Southern Bavaria. One critic called it "Kitsch, but beautiful." 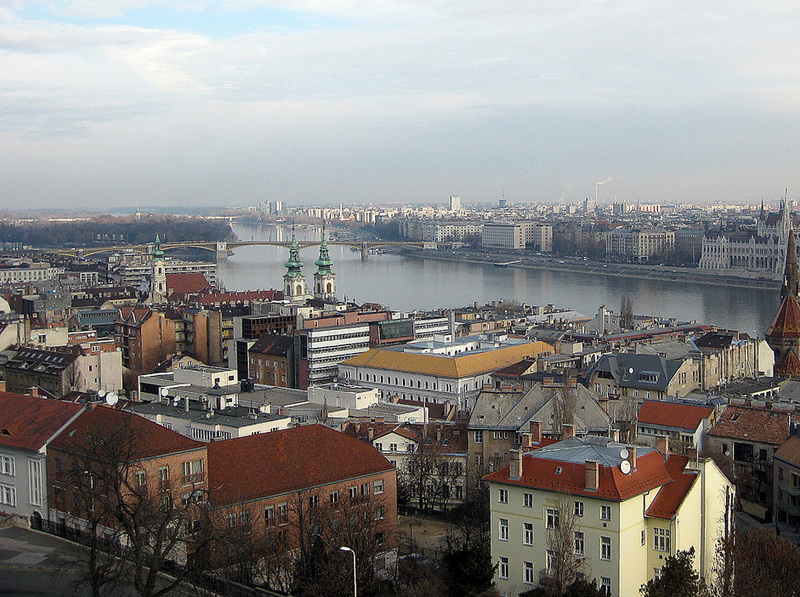 Whatever it looks like it provides terrific views of the city and the Danube. After the church and the bastion I headed along a street with many and varied eighteenth century buildings, and culminating in Vienna Gate Square and a dark and powerful place that now houses the National Archives. There are restaurants and many gift shops along this road, but people also live here. As well as definitely highest in altitude it has to be one of the highest rent districts in the city. Some of the houses are more special than others. One of the most elegant is on the corner in a line of beauties. It was at one time the home of the well known Hungarian Gyorgy Kalman, I've shown it with two others that are impressive as well. 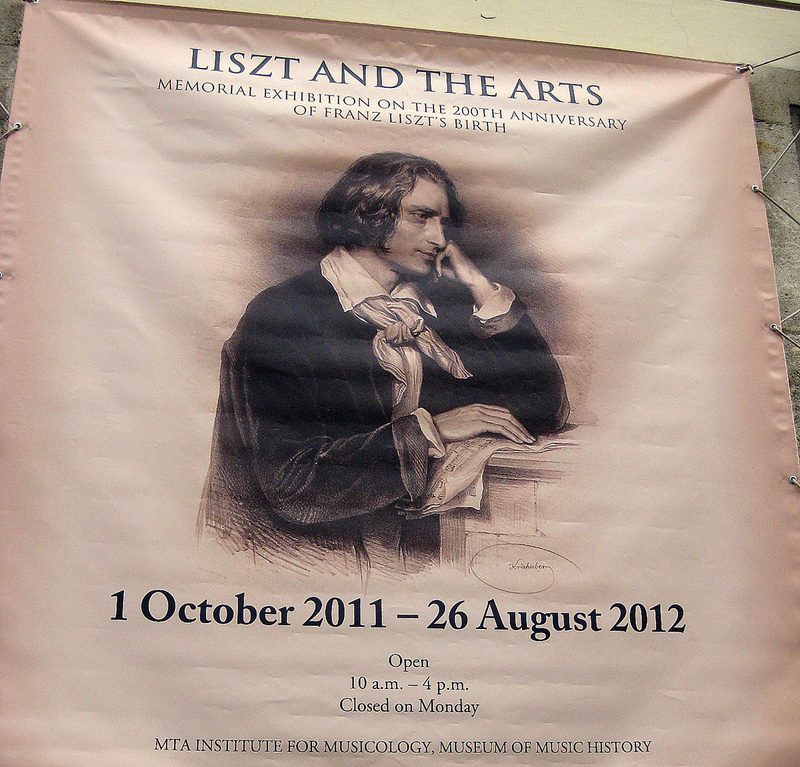 The road divides into two for a bit so I walked towards the archives building, then turned back up the other fork in the road and happened onto the Museum of Music History, which just happened to be displaying an exhibition on Franz Liszt and the Arts. 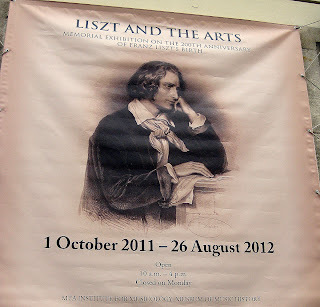 I walked in, the admission was covered by my Budapest Card, and I was ushered into a really delightful three or four rooms on Liszt, the great Hungarian Romantic composer/performer, his music, and the many other artists he worked with. A delightful surprise, well worth my time, and a much needed chance to warm up! I next decided to head back in the direction I'd come from and see about the rest of this vast complex. 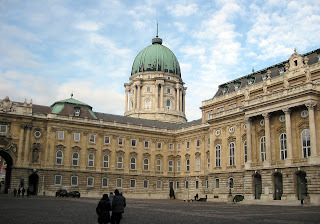 I strolled down the charming streets past the President of Hungary's offices to the Royal Palace. The Hapsburgs built a small elegant Baroque Palace here, but after the revolutions of 1848 it was destroyed and reconstructed into a place twice the former size. 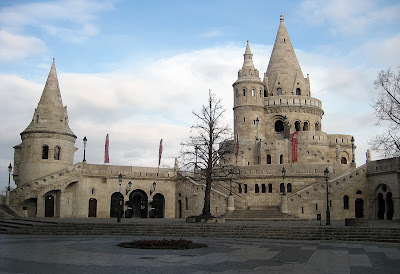 It was the last bastion of the Nazi defense of Budapest in World War II, and was once again rebuilt. The result is an interesting mix of styles. 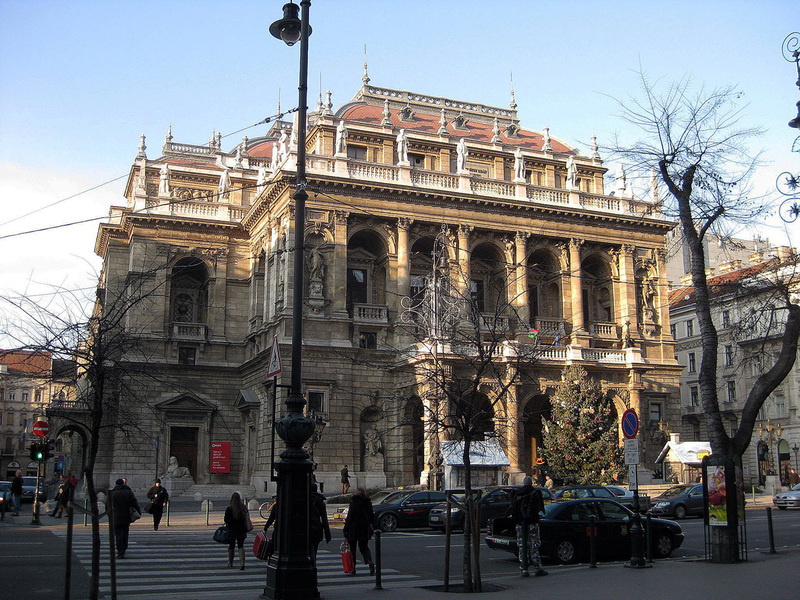 The palace now houses three different museums, the Budapest History Museum, the National Gallery and the Contemporary Art Museum. I was running out of time and steam and had time only for one. I chose the history museum and was rewarded with a very smart exhibit on 1,000 years of Hungary. I should mention that there are English language translations of the Hungarian throughout, and when I left I felt I had a pretty good sense of the history of this fascinating place. By the time I was ready to descend back into Pest it was about 1:30 pm. When I re-crossed the river I was faced with two pooibilities: heading back to the hotel for a nap or trying to see a few more sights. I opted for the latter and was glad I did. 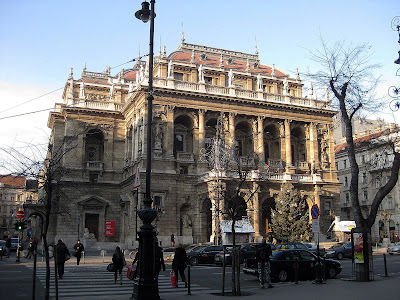 I walked along Andrassy Avenue, filled with posh shops and eateries, until I came upon a real architectural gem. the opera house. I stopped inside and was a bit overwhelmed by the lobby, which was the point, I guess, and found out that there are tours daily at 3 and 4 pm. I hope to get to that today. We shall see! 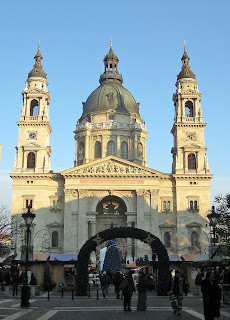 Then I retraced my steps to have a look at Szent Istvan Basilika, or St Stephen's Basilica. This massive edifice was built over 5 decades duringn the late-nineteenth century. It apparently can fit over 8,000 people, though that seems a stretch to me, but the interior is well worth the visit, a lavish display of wealth as well as faith. I have few words to describe it, as photos will do it better, but while it is piled high with adornments it doesn't, to my mind, seem overdone, like some German Rococo style churches I've seen. It's certainly worth a look. And there was a treat outside: another Christmas Fair! The fair at St Stephen's seemed a tad more sophisticated than the main fair a few blocks away, focusing a lot on wines and liquors. It is also equipped with a small ice rink, on which a few kids were skating as I passed by. 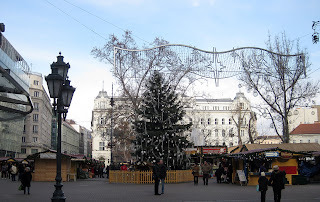 sipped hot mulled wine as I strolled through it, and finally decided to call it a day. Back at the hotel I felt so exhausted I decided not to go out again, had a mediocre meal at the hotel bar, processed as many photos from the day as possible, and then sank into a deep sleep. More tomorrow!